Whether biking, running or swimming, Boston residents consistently rank as some of the fittest in America. It is easy to see why Columbia Threadneedle Investments’ Boston headquarters is harnessing their athletic workforce for a good cause. The global investment company is the title partner of the Boston Triathlon and fields a competitive team of athletic employees who participate in the event each summer to raise money for Boston Medical Center. As part of the Columbia Threadneedle Investments Boston Triathlon, the Boston Corporate Cup challenges the city’s large corporations to compete against each other in triathlon sprint distance events. Corporate teams are judged on participation, performance and fundraising efforts. Last year, Columbia Threadneedle’s team won the Boston Corporate Cup and helped raise $75,000 for BMC’s adolescent and adult addiction programs. The event aims to raise $100,000 for the hospital this summer. The Grayken Center for Addiction at BMC is pioneering treatment, training and research to combat the opioid crisis in Greater Boston. The hospital’s many specialized programs offer advanced treatment to break the cycle of substance use as well as provide compassionate care to support patients in long-term recovery. Over the past decade, the Columbia Threadneedle Investments Boston Triathlon has grown into a sizable community event with Olympic and sprint distance triathlons, the Boston Corporate Cup competition, an all-ages kids’ fun run and a USA Triathlon-sanctioned Splash & Dash event for children ages seven to 15. The Olympic and sprint distance events combine a swim at Massachusetts Department of Conservation and Recreation’s (DCR) Carson Beach, a bike ride on DCR William Day Boulevard and a run along the South Boston waterfront. The triathlon will be held on July 22, 2018. 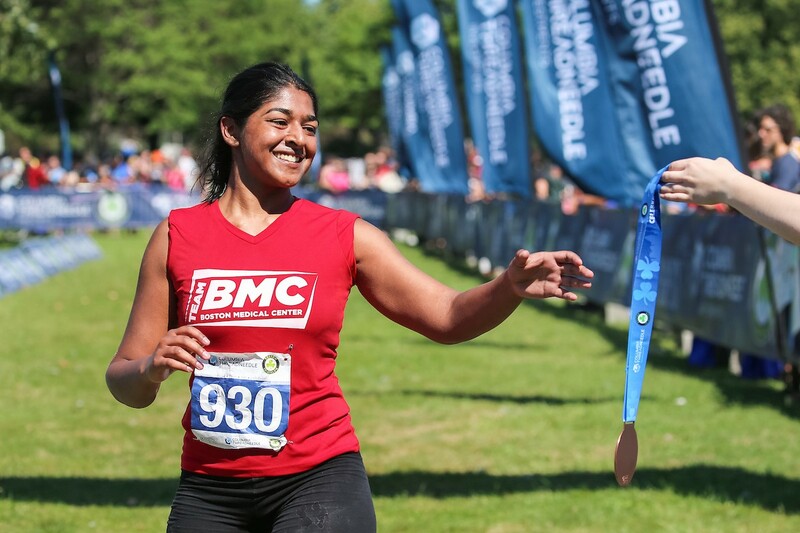 Team BMC joins Boston Medical Center (BMC) in the fight against the addiction epidemic by swimming, biking and running to support BMC’s adolescent, young adult and adult substance use programs. Boston Medical Center has led the charge in addiction medicine for 25 years. With its excellence in clinical care, research and leadership, BMC is a source for new and novel ways to care for patients and serves as an important liaison to combating substance use disorders.